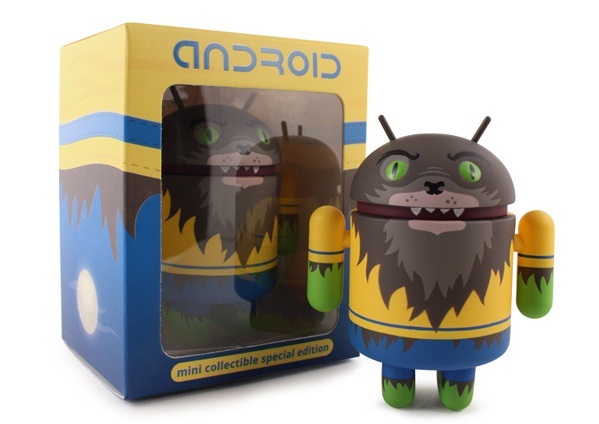 If you read our site, you know we absolutely love the Android Mini Collectibles. Lucky for us, the makers love them too and are putting out a special Halloween edition that features “Werewolf.” He is pictured above and is as cute as can be. He goes on sale right here starting Oct. 30 at 8PM (PST) and then again on Halloween morning at 8AM (PST). Update: We just received this info regarding the sale. As reported last week via your site, Andrew Bell’s release of the special edition Halloween Android has been rescheduled due to hurricane related activity. Check out this 360 degree view of him below.